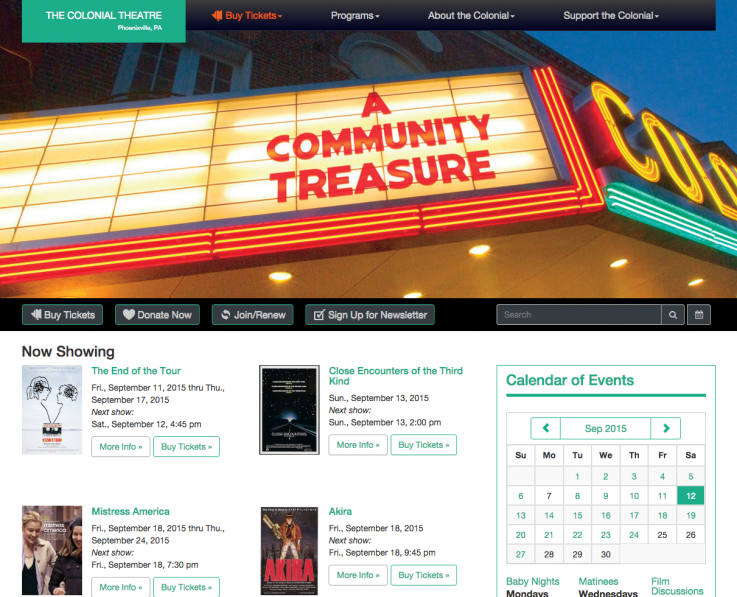 The Colonial Theatre is a local gem in Phoenixville. Knowing their site wasn’t mobile friendly, they re-engaged Miller Designworks. I knew they needed a refined IA structure and responsive site to support their large and growing mobile user base. Mobile users wanted to find them, find shows and buy tickets. So I accentuated the user-centered tasks of ticket purchase in the top menu with the two next shows, redesigned the site to showcase current shows, added a bigger calendar, and filled it out with upcoming shows in every category organized by color groupings. Their third party system of ticketing also presented their donation options in a confusing manner so I design a logical series of options to lead users to the specific way they wanted to give.